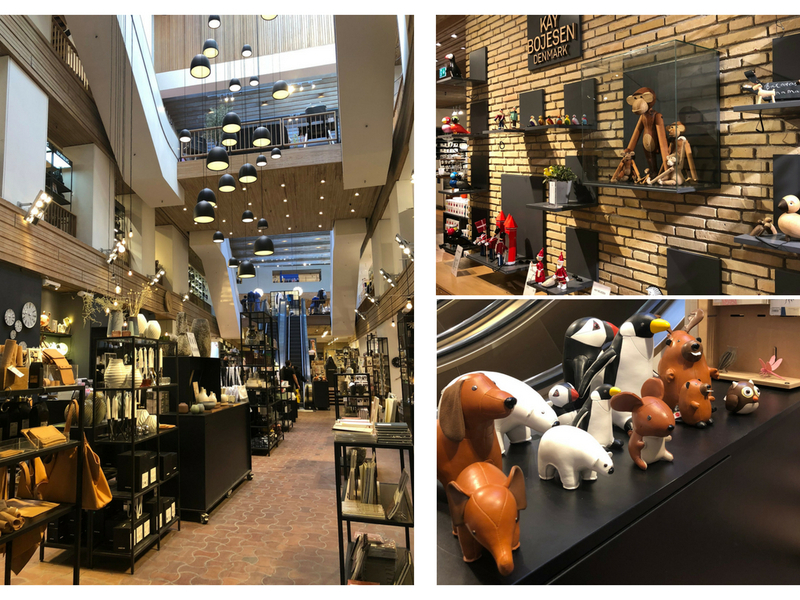 A visit to Copenhagen is not complete without visiting an abundance of stores for interior goods! I just love a good home decor piece or something just functional home goods with great designs. If you’re looking to revamp your house, room, living area or space. A visit to Copenhagen will definitely be an eye opener. Heck! I’m already planning on making another trip there when I next do a full revamp or move somewhere new! 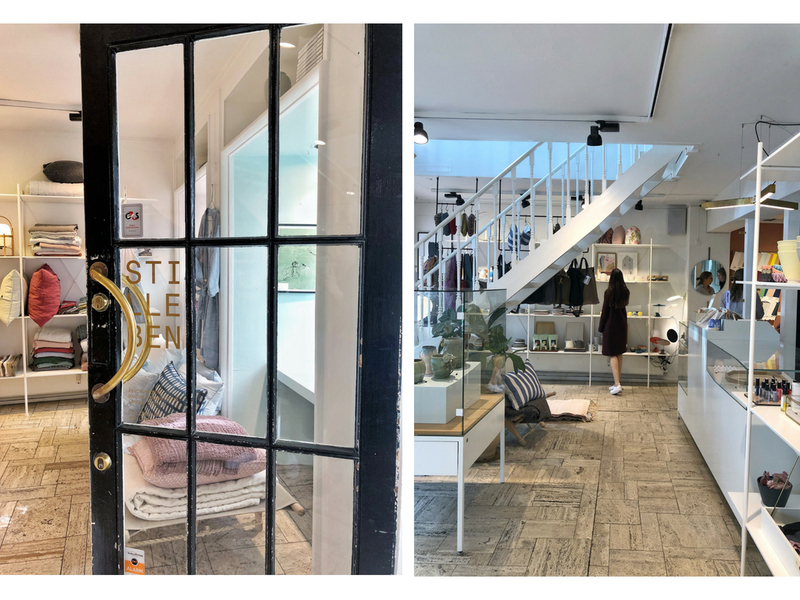 So today, I’ll be sharing with you all my favorite stores to visit in Copenhagen when wanting to shop for these items. And food, can’t forget about food! 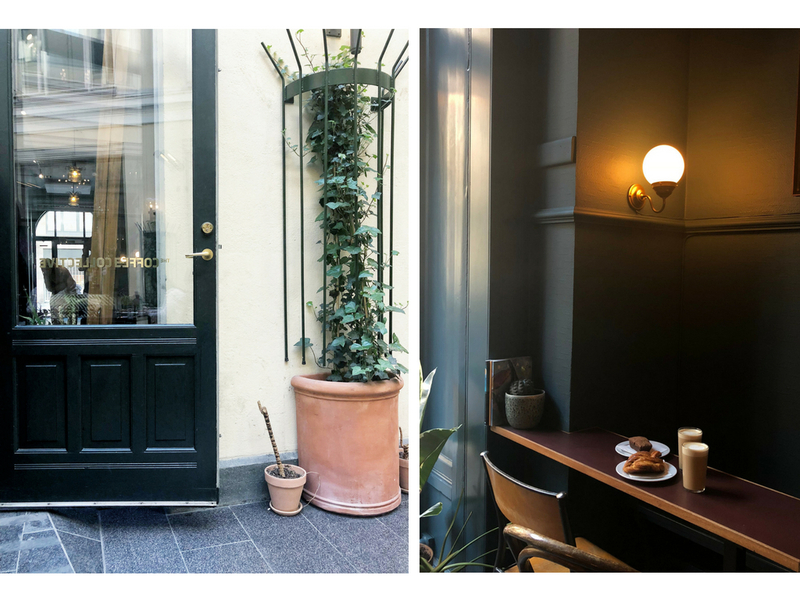 I’ll also be sharing my favorite places to dine and/or grab coffee as well! Frama is a wonderful store for ceramics. They have gorgeous plates that just makes cooking and plating a whole lot of fun. So if you’re into that stuff, it’s a definite must visit. Their collection of home fragrance is also very pleasant, but of course that is something you have to try out for yourself in person! Hay House is a fun stop. If you’re into all types of different designs and want to shop around for something fun. Hay House is perfect. They also have a ton of designed interior space laying around to inspire you! Think, IKEA, but more fun. I think that’s the way to put it. Illums is a jam packed stop. It’s similar to Hay House in that it has all different types of stuff. You can also pick up the seemingly, Copenhagen famous wooden monkey here. I feel like it’s probably a staple of Copenhagen. I spot it everywhere I go! But it’s not something you can buy just anywhere. And it comes with a hefty price tag. About $90 for their classic size and if you want to accessorize it with a hat, which I think is the way to go~ the hat costs $16. Oh jinkies! But they have a ton of fun pieces like the wooden monkey for home. Stilleben is similar to Ilums but smaller. Tons of fun pieces to shop for! The decor design is also super cute! Plus it’s a small store, so it’s worth stopping by for a quick browse! 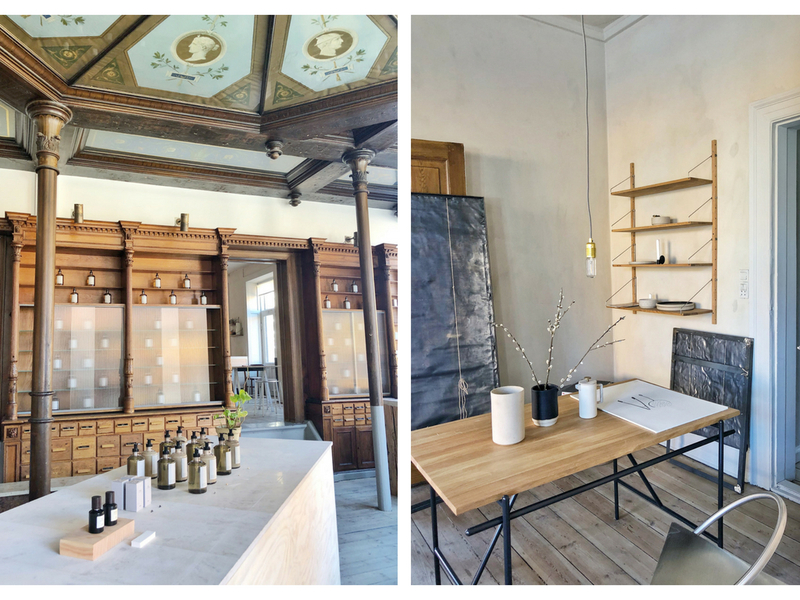 Royal Copenhagen is a must stop. I mean, you are in Copenhagen after all. If you don’t know, they’re a brand that make china. And I absolutely adore their tea sets. I have a set for high tea at my house and love it to bits. 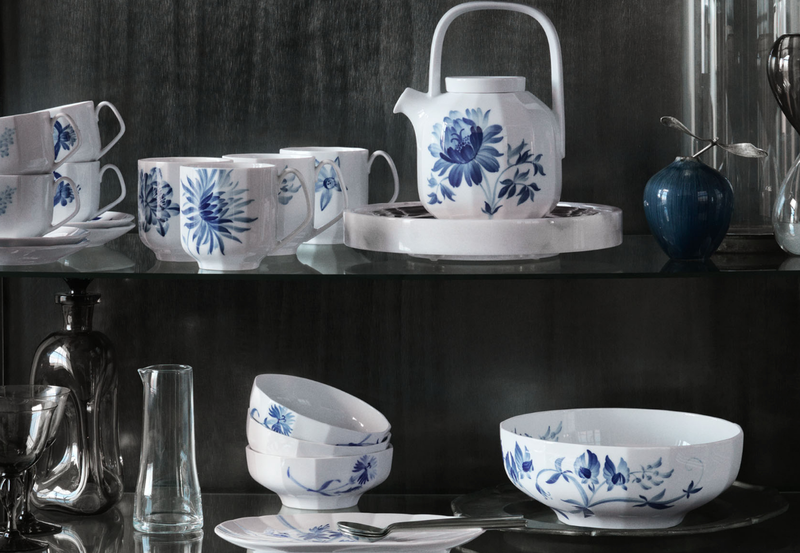 If you get their designed china, know that each piece is hand painted. And guess what… Here, you get to see an artist hand paint them! How cool is that? Admiralgade 26 was probably one of my favorite restaurants here. Tons of choices to choose from! 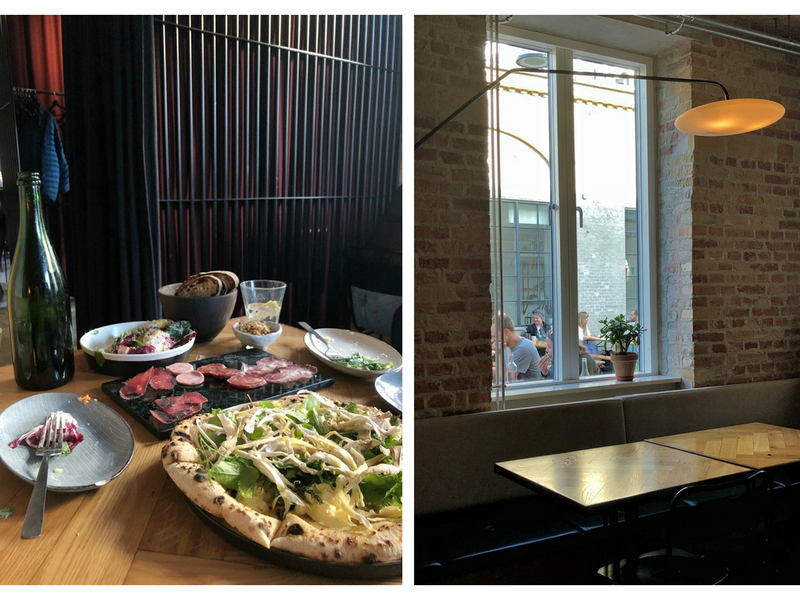 The food was fresh, servers were nice, space was quaint, presentation of food was beautiful… the list goes on! Oh! And the food is served on beautiful ceramic tableware. So it’s like a “taste of Copenhagen” at it’s best! 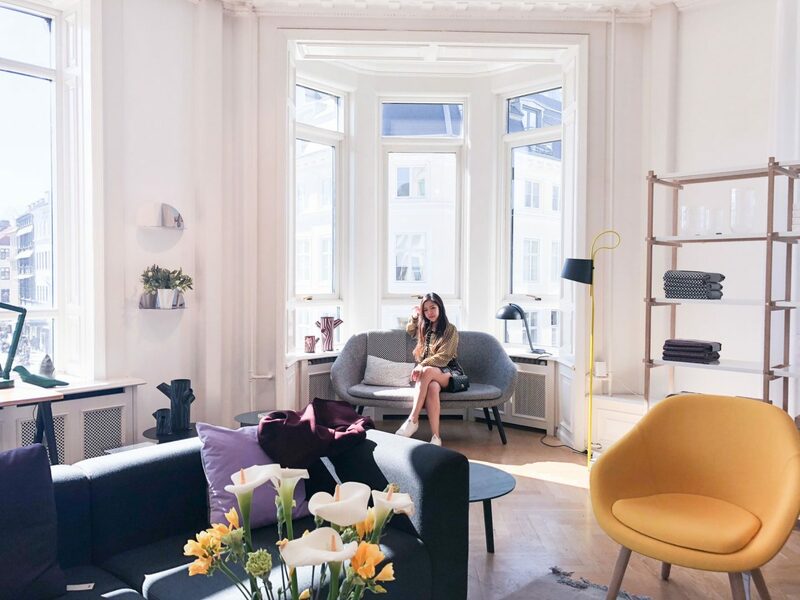 Niels is situated inside the beautiful Nobis Hotel of Copenhagen. Likewise, everything here was gorgeous and great. I rushed here post-flight to make it in time to dine here. I have to say, I was not disappointed. Food and space here is so relaxing. It also helps that their restrooms are equipped with Byredo products. Not sold on that? Well… it’s really an experience you have to experience yourself. 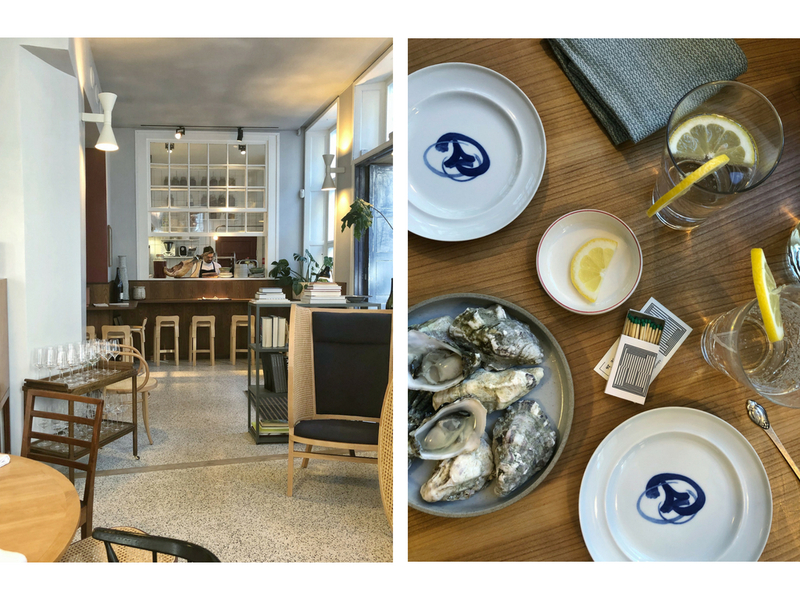 Musling Bistro is the perfect spot for fresh seafood by the waters of Copenhagen. They even have Happy Hour for fresh oysters every day from 3pm to 6pm. Their oysters are from France and Denmark! 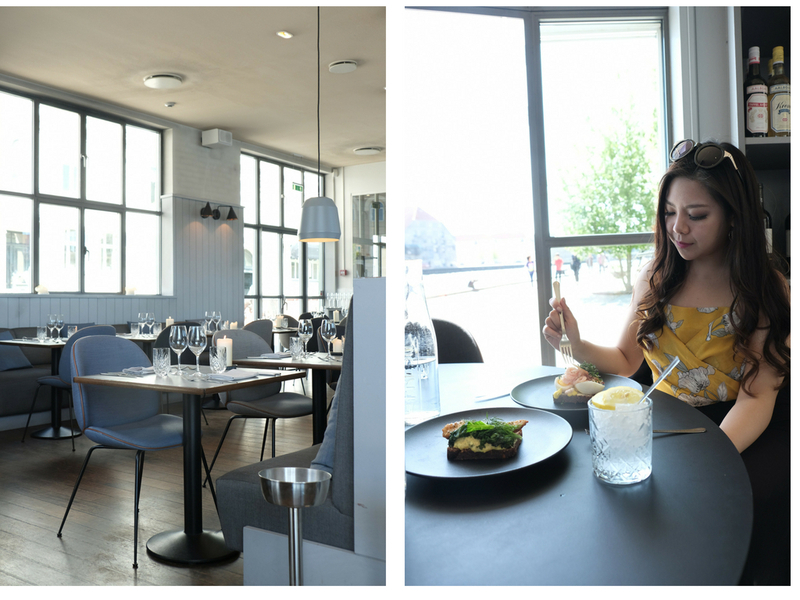 Almanak is the place to be for traditional Danish Open Faced Sandwiches and beautiful views by the canals of Copenhagen. It is located inside the Standard Hotel, so the interior is clean, sleek and modern! 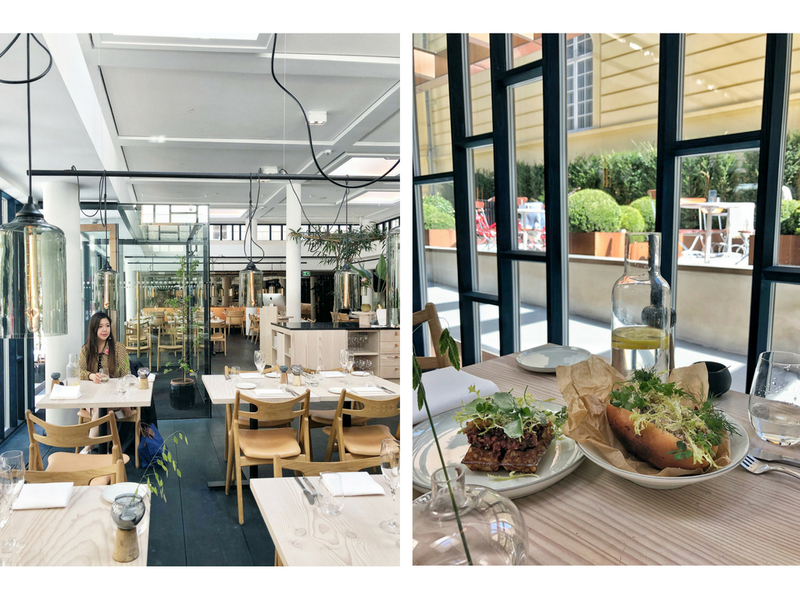 Perfectly refreshing brunch spot! Bæst for fresh farm to table dining. Even their cheese is made fresh in house daily! 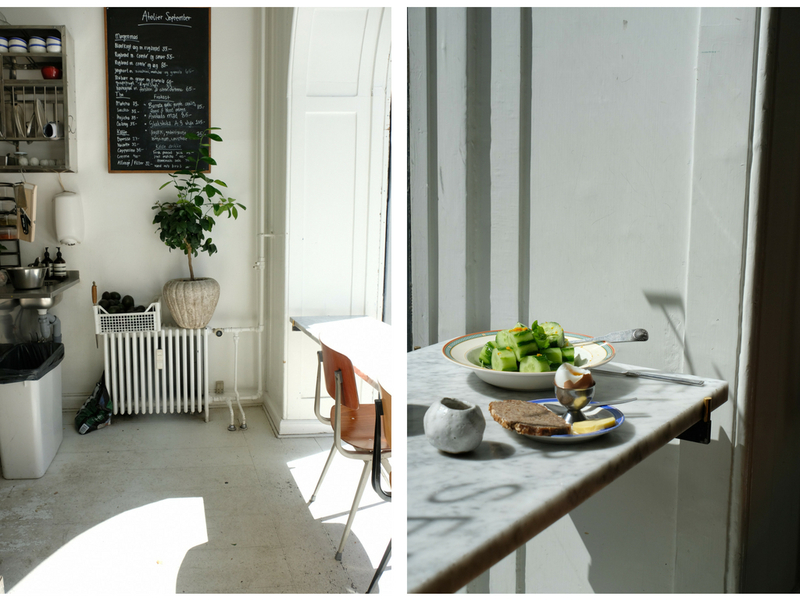 Atelier September for Danish/Japanese fusion type brunch and the most gorgeous natural lights and space. 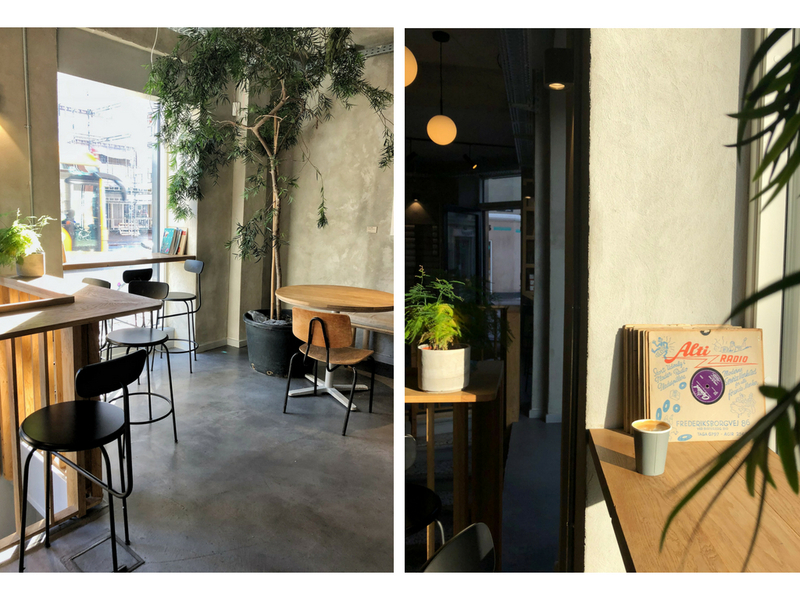 Coffee Collective is a moody and wonderful spot to grab coffee. The space is dim and relaxing with books all around for grabs. Staff friendliness also can not be beat. Lattes are served in tall glass cups. Drink away! Andersen & Maillard is a terrific coffee roaster! Everything on the menu will surely capture your heart. Again, something to check out for yourself! 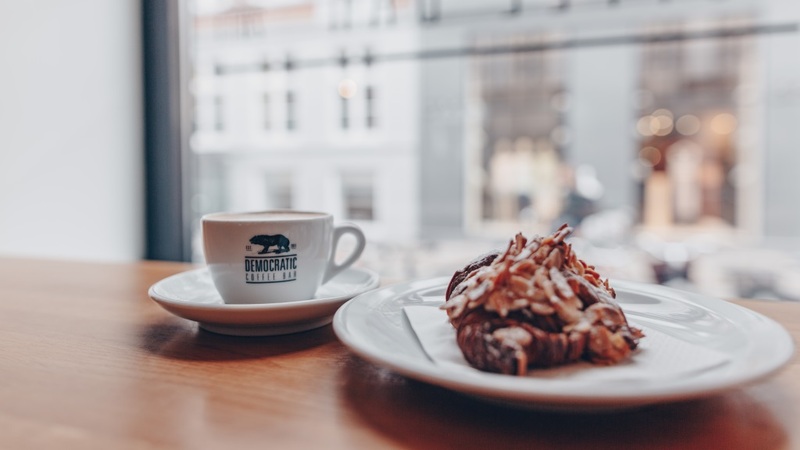 Democratic Coffee is probably the coffee shop of dreams. I can’t describe it. Just stepping in, the aroma is incredible. It’s like you’re swept away into coffee land, but not just any coffee land, a smooth creamy milky one. I can’t stop thinking about this place. Unfortunately, I was super sick during my visit to this coffee shop, so I didn’t get to take a sip of the coffee or take any photos. However, my travel buddy said it was one of the best cups she had, so she can vouch for this! But yes, I, myself, was captivated by it’s aroma! Well, that’s all for my Copenhagen sharing! 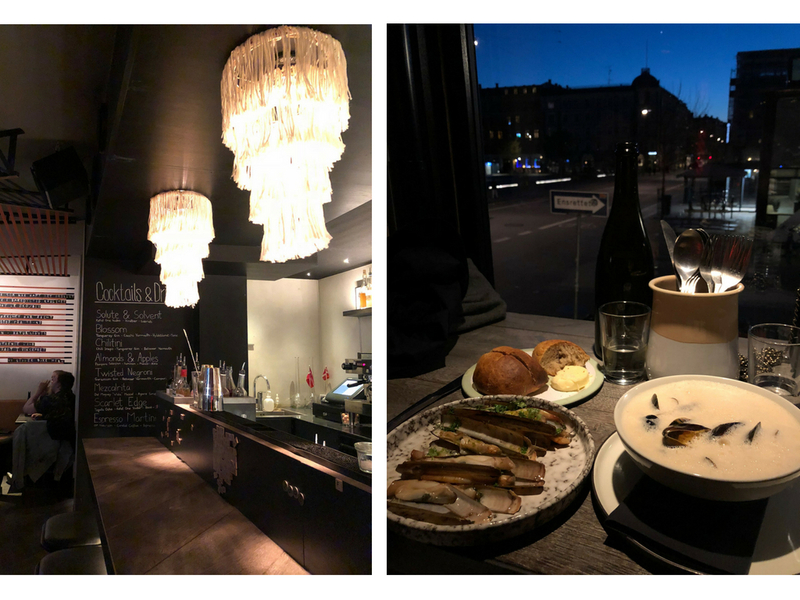 I hope you all enjoyed it and it inspires you to try some of these places when you’re in Copenhagen! If you want to see more of my traveling moments in Copenhagen, check out my instagram stories highlight in my profile dedicated to this trip! You’ll find it under “CPH”! And that’s a wrap for Copenhagen! Next post, will be a little treat for you all and we are moving onto Paris! I can’t wait to share with you all! PS: If you have any questions about Copenhagen, do not hesitate to leave a comment and ask! I’ll always get back ASAP! Oh wow, everything looks so beautiful and I love the interior. I need to travel more since there’s so much beauty out there. Have you heard about democratic coffee as well? Yeah my stomach was having problems. I couldn’t eat anything on my last day in Copenhagen. So sad. But definitely reason to revisit! I would love to go to Copenhagen one day. I’ll keep your post in mind, because I do love to shop. And eat. Yes. It’s a bit expensive! Prices aren’t too different from the states, like buying from Bloomingdales. So I would save the trouble. However, it’s worth the experience to go in and watch them hand paint it! I would love to visit Copenhagen one day! Looks like a great place to visit to get some delicious coffee and buy some unique pieces. Definitely! There’s unique pieces everywhere. Dream come true for interior lovers! The food sounds wonderful. Fresh seafood and homemade cheese are my favorites. These are amazing photos! I haven’t ever given any thought to what the decor and architecture would be like there, now I want to add it to the bucket list. Copenhagen sounds like an absolutely amazing place to go and visit. All those things to do and see! Really love the photos! Europe is on my bucket list for places to visit and might just have to add Copenhagen to the trip. Copenhagen sounds like an amazing place to visit. I love the decor and I think I would love Hay House! Oh wow, these places are lovely! Interior design is amazing, love their mix of rustic and modern style. Haven’t been to Copenhagen, your pics makes me want to go there! Copenhagen looks like an amazing place to visit. Such great decor everything looks fabulous. Copenhagen looks like such a fun city to explore. I would love to visit that part of Europe. Oh wow you literally need a month to explore all that Copenhagen has to offer. Your post has me wanting to book a trip there aSAP. I’d never want to leave there. That would become my day and night hangout. I’ll have to check in to visiting there sometime.